June McNamara was born June 30, 1930 in Clinton, IA the daughter of George and Fannie (Plumley) McNamara. She attended Prophetstown schools graduating in 1949. On Jan. 21, 1951 she married Robert J. Powell in Prophetstown. He died on Nov. 27, 1995. June farmed with her husband and sons in the Annawan and Atkinson areas. She had been a Northrup King Seed dealer for over 50 years. 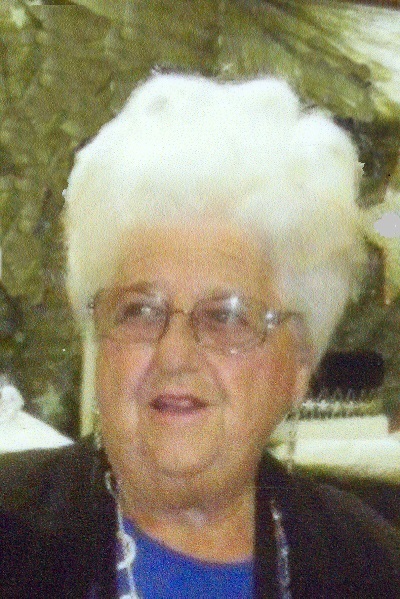 For over 60 years she had been a sponsor of the “Longest Ear” contest for the Annawan School District FFA Chapter, awarding prizes for the longest ear of corn grown by an FFA member.June A. Powell, 85, of rural Annawan died on Sunday, December 27, 2015 at her home surrounded by her family. Funeral services will be held at 11:00 a.m. on Monday, Jan. 4th at Fairview United Methodist Church, in Annawan Township. Rev. Dan Wright and Rev. Terry Lancaster will officiate. Burial will be in Fairview Cemetery. Visitation will be from 2 to 4 p.m. Sunday at Stackhouse-Moore Funeral Services, 401 W. Front St. Annawan. Memorials may be made to June Powell Memorial Fund. June was a member of Fairview United Methodist Church, AARP, Four Seasons Club, Henry County Farm Bureau, and an Atkinson area Card Club. She had served on the board for Farm Service Agency. June had also served as a Cub Scout Leader and continued for many years helping with local scouting. June had also portrayed Mrs. Claus for many years along with her husband as Mr. Claus to the delight of many area children. Survivors include two sons and a daughter-in-law, Kevin and Donna Powell, and Kirk Powell, all of Annawan, 2 grandchildren, Melisa (Tim) Wise and John (Courtney) Rico, all of Annawan; seven great-grandchildren, Uriah Rico, Jaydn, and Drew Wise, and Keagan, Kennadi, Karsyn, and Kinley Rico, and a sister Juanita Smith, Prophetstown. Her parents, husband, a sister, and brother-in-law, Eloise and Everett Stewart and brother-in-law, Ryland Smith all preceded her in death. Video tribute may be viewed and condolences expressed by visiting June’s obituary at www.stackhousemoore.com.